I cooked them for about 45 minutes (until they were fork tender) and let them cool on the cutting board. I skinned them and chopped them into tiny pieces. I figured the smaller I cut them the easier they would be to eat in a salad. I wish I would have tried them before I cut them up into baby pieces! I placed a tiny beet square in my mouth. It didn’t taste like dirt. It tasted good! Actually, it kind of tasted like corn. I added some garlic powder and salt and I was looking forward to eating it on top of salads. 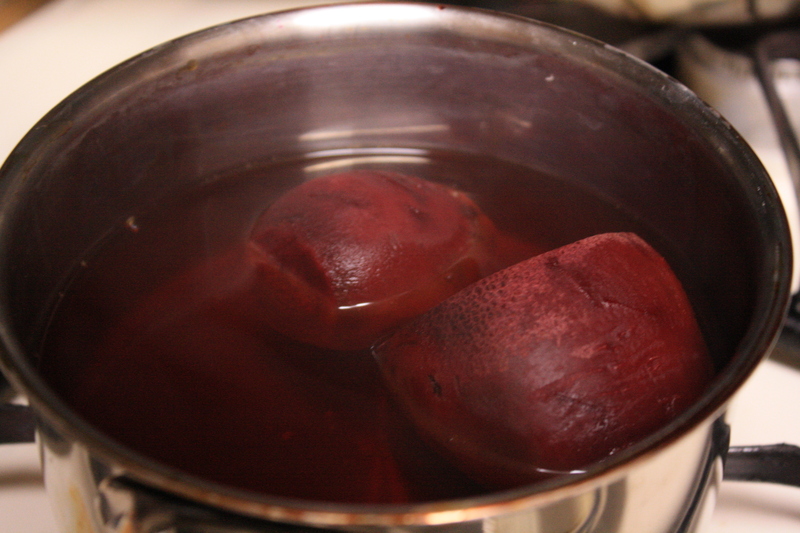 My husband, who had only canned beets, took some coaxing to try them. He was pleasantly surprised that he liked them and thought they tasted like corn as well. I even got my mother-in-law to try them (who isn’t a very adventurous eater and thought they would taste like dirt as well) and she liked them too. I might roast them in chunks with some butter next time. I haven’t bought vegetables at the grocery store for a while now, but I am craving some beets! Plus they are good for you! I want to try them raw in juice as well. I wish we hadn’t been so reluctant to try them sooner. Don’t be scared of trying beets! 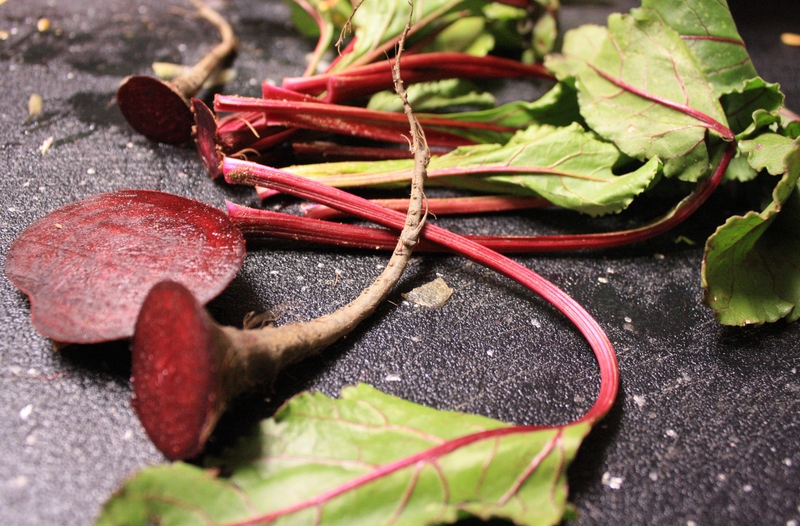 We had baby beets and sautéed beet greens last night that were delicious. I’m glad you tried and liked them. When the weather cools down, try roasting for additional flavor. Roasting them are definitely on my to do list!